These are the celebration times in Nepal, not because everyone is assured of much needed economic development that political parties have promised, and not because Left Alliance has swept federal parliament and provincial assembly elections (the constituent parties of this alliance have been tried, tested and found wanting for the last 20 years). Doubt lingers about how long Left Alliance will endure or whether it will split again over power-sharing. They were among those which failed to speak against corruption and criminals even to impress voters. So there is no reason to be optimistic on governance either. Yet these are moments to cheer. These are the elections which took place under the constitution that had been projected as a ‘regressive document’ with nothing to offer to women, Madhesis and Janajatis. Elections practically disprove this allegation. We already have more than 10,000 women candidates elected in local governments and they are working. In the provincial and federal parliament elections few women will be elected not because of the constitution but because political parties were less ‘generous’ in allowing them to come to political mainstream. Madhesi forces that held the country hostage for months burning and rejecting this constitution since its promulgation have now become its major stakeholders. If elected they will form their own governments in the provinces, others will be represented in the federal parliament. 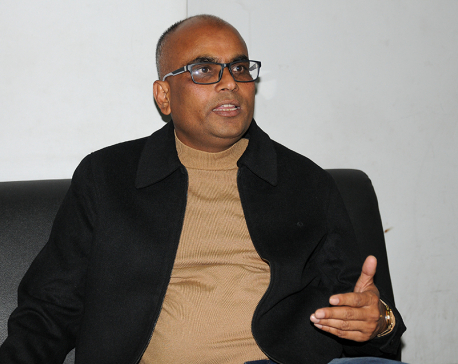 From now on Madhesi forces will have no liberty to ‘disown’ the national charter. Elections took place despite pressures from many quarters to defer them. India was visibly unhappy with them. It was not in favor of holding local elections in the first place without constitution amendment. Madhesis came to participate in the third phase of local elections only when India (thanks to it for that) advised them not to boycott them. It needed a lot of coaxing and cajoling and convincing to get them on board. Within Nepali Congress, many had recommended Prime Minister Sher Bahadur Deuba to postpone the election. The benefit of this for Congress would be that it would remain in government and we would not have had a parliament to remove it. India, which was greatly spooked by the prospect of the Left Alliance winning a majority, was in favor of postponing the polls, until at least the alliance frayed. Nothing of this worked. Elections took place. Results are coming out. There are few more things we need to note. The idea of separating entire plains from hills for provincial boundary readjustment won’t sell anymore. Soon we will have seven provincial governments competing against each other to ensure more efficient delivery of services. 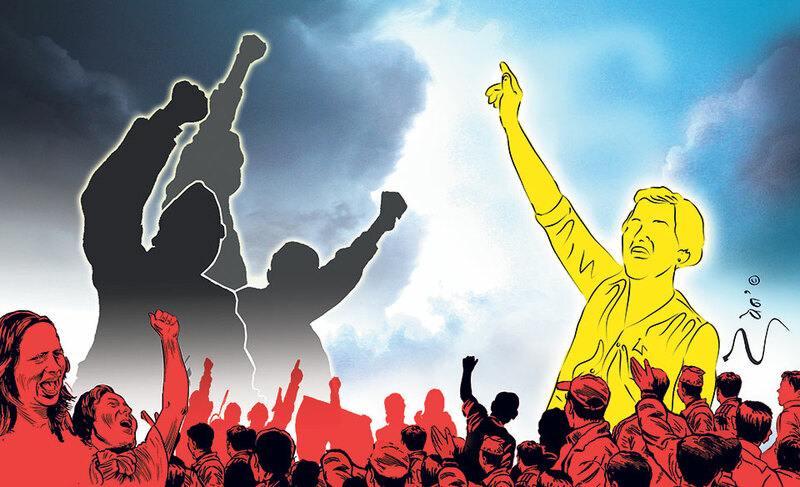 Debate on boundary readjustment may surface for some time yet, as Madhesi forces have the obligation not to ditch this agenda, their ‘bottom line’ during the 2015 protests. But anyone talking only about hill-plain divide will find no support. We will have to settle on current boundaries. Provinces will take time to get institutionalized. They may even fail. But in that case we will have local and federal governments to fall back on. In the past one decade, Nepali political parties acted in a way we could hardly appreciate them. Rarely have they given us moments to cheer and thank them. But they have done it now. We must first thank Rastriya Janata Party Nepal (RJPN) leaders. Election process had become uncertain because RJPN’s participation was uncertain. Perhaps because they felt spurned by India or because they realized they were on the wrong side of the debate, whatever the reason, RJPN in the latter days stood firmly in favor of holding election by this December. Reportedly, India had wanted RJPN to postpone the polls. If it had done so, Congress would have been encouraged to take this route—and the uncertainty and constitutional vacuum that this move would have entailed would have been unimaginable. It was a difficult decision for RJPN but this time they risked their own future and saved the country from an uncertain future. Without RJPN, elections would not have happened. We owe the ruling Nepali Congress as well. Despite its initial reluctance and despite suggestion from party rank and file to postpone polls, Prime Minister Sher Bahadur Deuba stood firm. On hindsight, his decision to defer local elections for Province 2 for the third phase (on September 18) set the scene for these elections. With this decision RJPN was left with no option but to join election process. Once they participated in local elections, they could not escape provincial and federal parliament elections. In retrospect, Congress leaders who wanted Deuba to postpone polls seem to have understood how the ground beneath them had shifted. Maybe they sensed the setback. Yet, he held the elections. Yes, his party lost but he saved the country from constitutional crisis. CPN-UML deserves as much accolade. UML repeatedly blamed Congress and RJPN (they were sore as hell with UML for this) of trying to defer the polls and invite a constitutional crisis. This tactic worked well. It at least created pressure on the government to remain committed to election. And Nepali media stood together on elections. The Left Alliance that will form the government is not going to be able to deviate from fundamental norms and core values of this constitution. So whether the alliance should or should not have won is immaterial now. The constitution now finds national and international legitimacy. Whether India or any other country will welcome it is also immaterial. After this election nobody—except the separatists—will be able to reject this constitution. From political parties to leaders to election candidates to us voters (whoever voted) we have all sworn in the name of this constitution. Now nobody will be able to fool the people with hill-plain division. Unless federal system fails and the reason of failure is proved to be (which it won’t) creation of provinces by accommodating hills and plains, this idea won’t sell any more. Elections are times when political parties make sweet, sometimes even untenable, promises: We will raise your per capita income to US$ 5,000 in next few years, we will provide for your health, education, social security and social welfare, we will bring development to your doors, and provide employment to your children, we will always stand by you. This is the proof of how even when parties lie they cannot go beyond the fundamental concerns of the people. No RJPN candidate was found to run the election campaign by saying, for example: Vote for me and I will wrest away our lands from the hands of Pahades, or I will break this country apart, or because I will advocate for secession. Yes, they talked about constitution amendment but they did not go into specifics. They knew that pitching for these divisive agendas would have been electorally stupid. Elections are not only the times of lies and deceptions. It is also the time to let people decide which parties are rational. Everyone tries to talk rationally to voters during such times. From now on, unless parties begin with the premise that hills and plains can coexist in federal set-up, there will be no progress on boundary issue. Unless they agree on the premise ‘Madhes shares beti-roti relations with India but Nepalis are Nepalis and Indians and Indians’, citizenship issue will remain as tricky to resolve. As for India, which subjected Nepal to blockade and suffering over the constitution, it must have realized how costly one single misadventure has proved for its goodwill in Nepal. Like it or not, large majority of people voted for KP Oli-led alliance for his ability, despite all other flaws, to stand up to India during those difficult times. New challenges will emerge. New problems might arise right after vote counting ends. The left alliance may not be able to handle the responsibilities the landslide victory has brought. Yet, these elections have taken us to a new phase from traumatic and disturbing developments that started with (or even before) constitution promulgation—open meddling by India to halt its promulgation, deaths in Madhes, the blockade and the sufferings. There was a time when it was hard to imagine we would come this far. At least that phase is over. Now we have to set many things right—from domestic politics to our relations with India and China. Yet, at least we now have something to fall back on. Nepal has won. Fellow Nepalis, we are safe, at least for now.